So I am going to be a show off, and show the new item that I always carry. 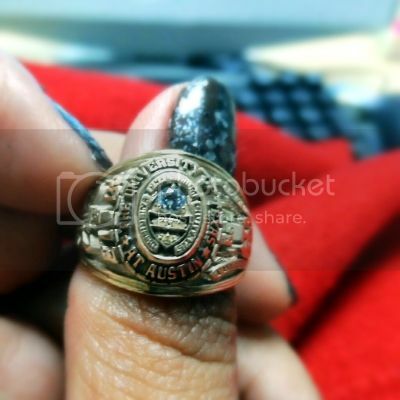 It is my classring, I got it last week and I absolutely love it. As my mom said it a symbol of hard work, and dedication, and I am very grateful to my parents for having it gifting me with it. thats a very nice gift, Ruth. whats so funny about that? I always carry my own organic Stevia to sweeten my coffee when I'm about town.